Social inequalities in health have been widely demonstrated. However, the mechanisms underlying these inequalities are not completely understood. The objective of the study was to examine the contribution of various types of occupational exposures to social inequalities in self-reported health (SRH). The study population was based on a random sample of 3,463 men and 2,593 women of the population of employees in west central France (response rate: 85–90 %). Data were collected through a voluntary network of 110 occupational physicians in 2006–2007. Occupational factors included biomechanical, physical, chemical and psychosocial exposures. All occupational factors were collected by occupational physicians, except psychosocial work factors, which were measured using a self-administered questionnaire. Social position was measured using occupational groups. Strong social gradients were observed for a large number of occupational factors. Marked social gradients were also observed for SRH, manual workers and clerks/service workers being more likely to report poor health. After adjustment for occupational factors, social inequalities in SRH were substantially reduced by 76–134 % according to gender and occupational groups. The strongest impacts in reducing these inequalities were observed for biomechanical exposures and decision latitude. Differences in the contributing occupational factors were observed according to gender and occupational groups. This study showed that poor working conditions contributed to explain social inequalities in SRH. It also provided elements for developing specific preventive actions for manual workers and clerks/service workers. 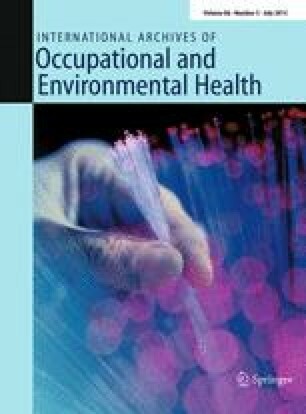 Prevention towards reducing all occupational exposures may be useful to improve occupational health and also to reduce social inequalities in health. The authors thank the members of the Samotrace study group: Albouy J., Arnaudo B., Bardot F., Berson C., Bertin C., Chevalier M., Cohidon C., Dubré J.Y., Goldberg M., Huez D., Imbernon E., Lasfargues G., Roy D. The authors also thank all the 110 occupational physicians and all the employees who participated to the Samotrace survey and made this study possible. Marie Murcia was founded by ANRT (CIFRE contract) for her PhD thesis.